Us girls, we like being neat and organized. We get OC over the smallest details. Makeup should go in this kit, skincare products should go in that and so on and so forth. Men will probably never understand why we have so many little kits and containers in our bags and luggage. We can never have too much of them! So to all you women out there, this giveaway is for you. (Of course if you’re a guy and you want to join as well, knock your socks off!) See those kits and organizers pictured above? 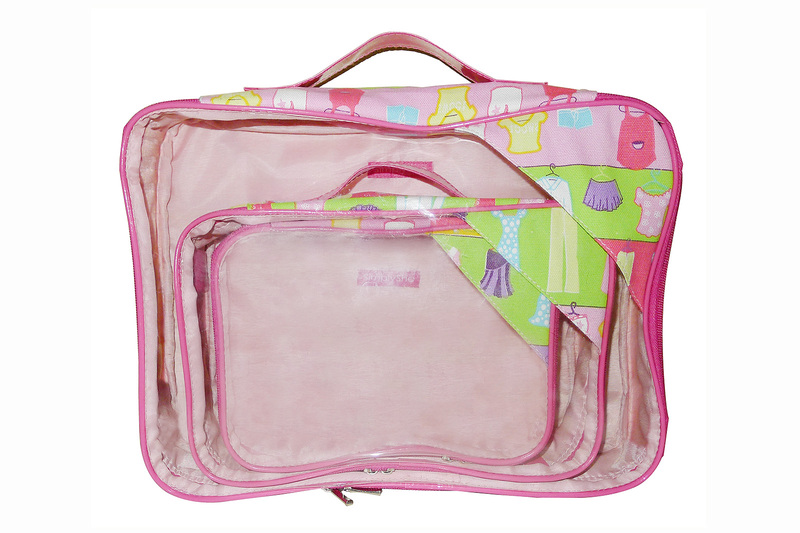 They’re all from SimplyShe, a brand that caters to women who are looking for both fashion and function in their choice of travel kits, cosmetic cases, organizers and accessories. Aren’t they so cute? I love how SimplyShe plays around with colors and patterns. This way, your kit doesn’t have to boring! A packing cube set. I use these sets for my toiletries whenever I travel. 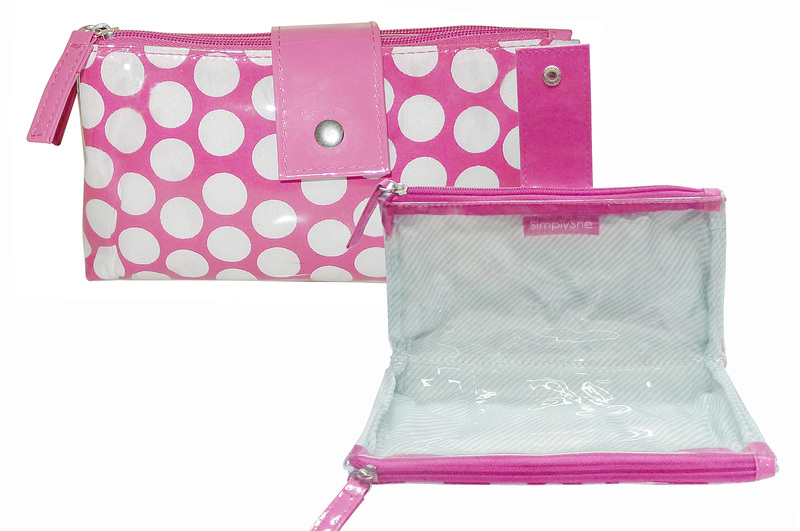 A two-fold cosmetic kit. I like putting my sanitizers, tissues and the like in kits like these. 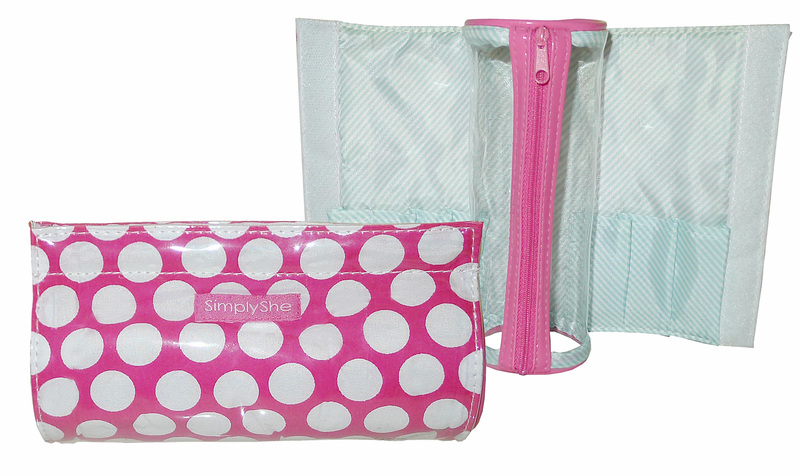 And last but not the least, a SimplyShe cosmetic roll where you can out all your makeup and brushes. Like SimplyShe on Facebook and follow @SimplyShePH on Instagram. This contest is open to Philippine residents only. Deadline for entries is on April 21, 2013 at 11:59PM. I will be choosing the winner via Random.org and announcing it here at the comments section below. Please be reminded to submit one entry only. No multiply entries please. SimplyShe is available at all Watsons branches. It’s almost a few minutes before your special day! Happy Happy Birthday to you Ms Camille Co! I wish you all the best and I hope you’ll be very successful even more! I hope, I hope I can win these kits because they’re so nice and they come in different colors and styles! one winner wins all of these?? I hope I win! Heeheh! Hope I win Ms. Camille. I happen to follow you with all of these accounts even before. And regularly checking your blog.